"EventSentry has more uses than a Swiss Army Knife!" EventSentry provides reliability to nearly 3,000 students across 6 schools. Collect and archive as much data as you can store - for one price. EventSentry is competitively priced and includes one full year of email & phone support. Monitor as many metrics per host as you wish - EventSentry is licensed per host. EventSentry looks beyond events and log files - by monitoring multiple aspects of Windows-based systems to give you a complete picture - and not just a few pieces of the puzzle. Disk space, performance, inventory and more monitoring features are all included. Our state-of-art agents monitor all Windows servers, workstations & laptops securely, efficiently and in real-time - with native 64-bit support. Data is encrypted & compressed, and collected metrics are cached and re-transmitted during temporary network outages. EventSentry's email alerts go the extra mile to make troubleshooting faster and more effective by providing additional context. Footers provide a status of the monitored host, security codes are automatically explained and performance alerts include embedded visual charts. IP addresses contained in emails are supplemented with reverse DNS lookup and geolocation data. Since Windows security events are notoriously difficult to decipher and correlate, EventSentry transforms raw security events into easy-to-read reports that immediately make sense. Who ran which application, when did a user logon and from which workstation and which files were changed by whom are only some of the questions you will be able to answer with EventSentry. A modern, sleek reporting engine that works across all major browsers and mobile devices provides easy access to all logs and metrics. 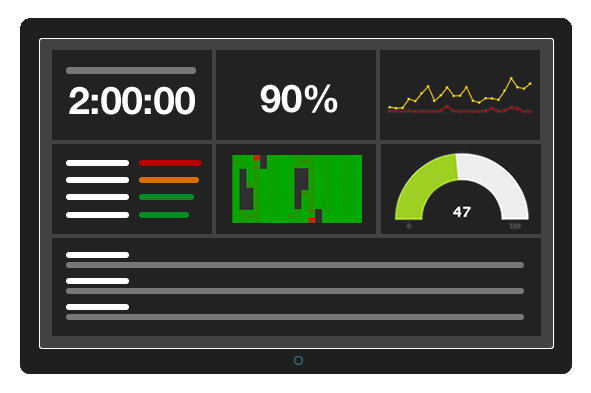 Beautiful & illustrative dashboards can present data from different vantage points, an extensive API provides easy access to third party applications.